Show off what you've made and post your build logs here! Here are my updated drawings for the table. Will update the instructions as time allows. 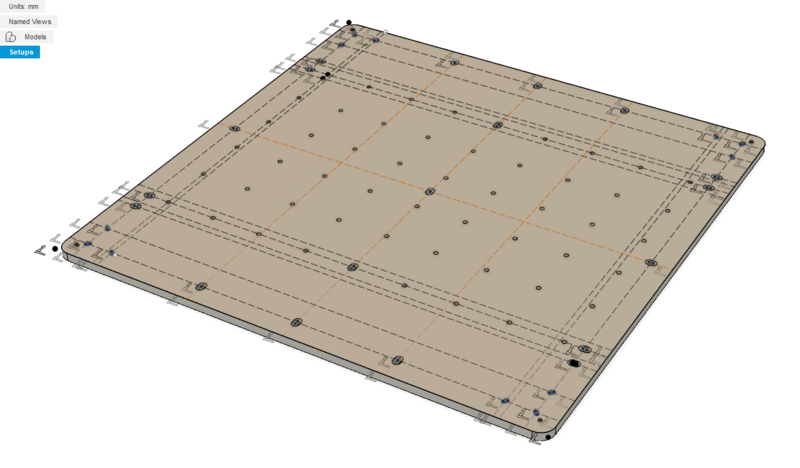 Got some work done of toolpaths for the wasteboard today. Went back to countersinking most of the slots as i decided i want to use flat screws. I got some work done. the extrusion frame is cut and screwed together with corner braces. It turns out I messed up when I ordered the m6x20's as the heads don't actually fit into the profiles, so while the taps came out beautiful the bolts only go the the edge of the first extrusion and stop there. 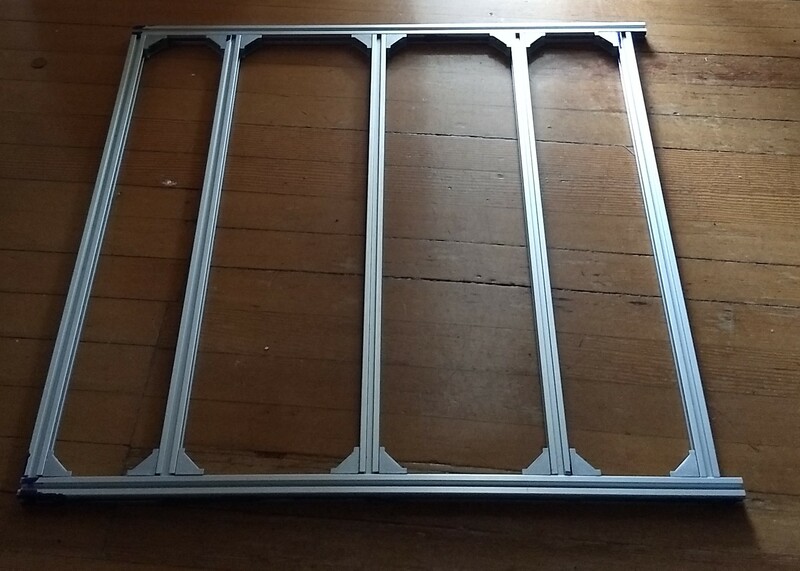 I could just counterbore the extrusions, but instead i've just ordered some m6x30's. I decided to cut the long pieces 20mm long in case i want to strap upgrades off the side like on the xCarve. The wasteboard is almost finished as well. 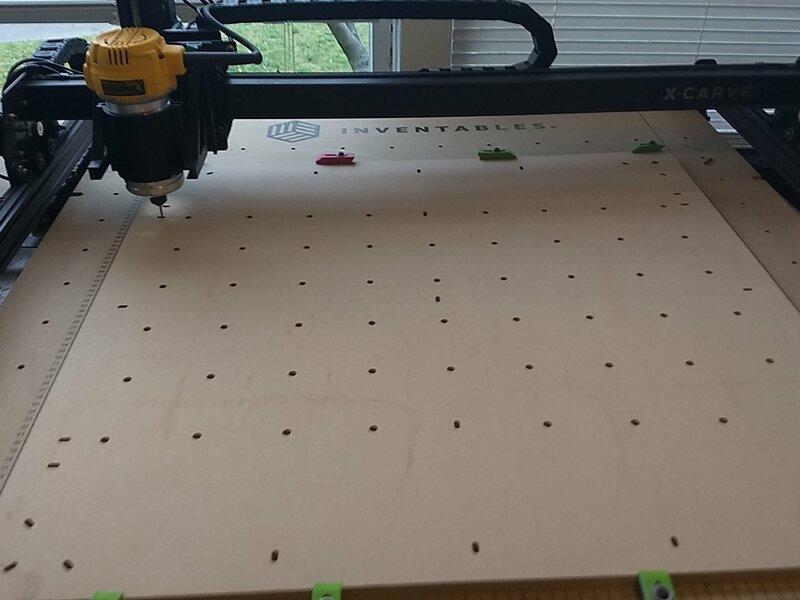 Unfortunately I have another project going (an antweight robot fighting arena for my students) and I left my countersink bits at that jobsite. I'll get them back over the weekend and then I can finish this project up. I've been thinking about how i'm going to line up all 31 nuts to bolt down the wasteboard. 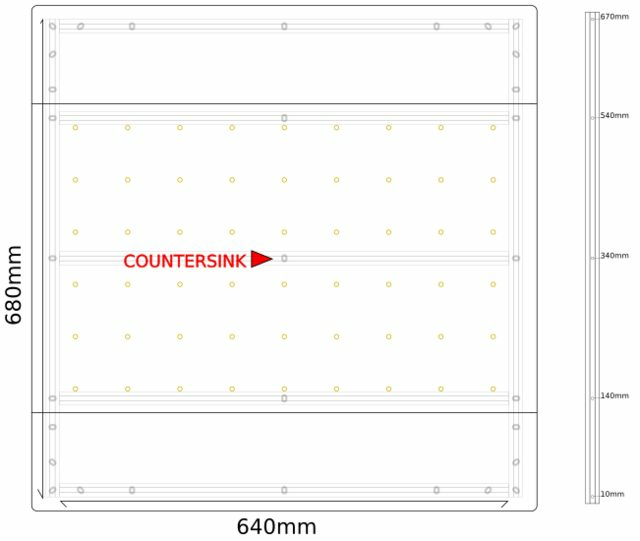 My current thinking is that i'll try to measure them out as well as I can and then mill a spoilboard out of clear acrylic sheet so that i can line up all the nuts with an allen wrench and then when i go to put the mdf sheet down it will just line up as if by magic. The machine is now mostly assembled. I made some changes since this picture (optimized the zip ties a bit so that the "slack side" is behind the mounts), upgraded to actual cable staples, and also have the dw660 mounted to the machine. I've been waiting for the spoilboard surfacing bit to come in which arrived yesterday. I'm pretty unimpressed by the lack of rigidity in the z-axis in this design, but to some degree wonder if that might be affected by tightening one of the many tension bolts they mention in the instructions but never really diagram or explain. 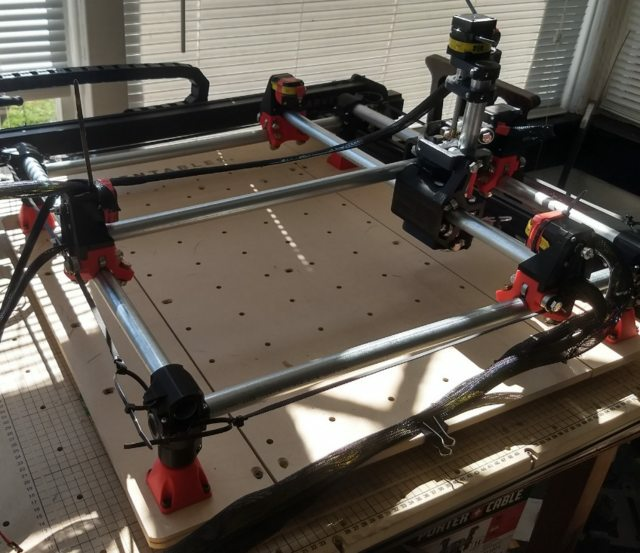 I know Ryan (from V1 Engineering) has a post on his site about increasing the stiffness of the Z axis: https://www.v1engineering.com/forum/top ... of-z-axis/ Maybe it will help? I'll check it out. Currently assembling the control box. I'll try to get some photos.